Braewood Terrace Subdivision is in the East Area of Tucson, AZ. Shopping, restaurants, and activities can be a bit of a drive depending on the specific subdivision you live in. The East area is noted for Horse Properties. Large 1 to 3+ acre lots provide the space for a home and horse facilities. Large 1 to 3 acre lots provide the space for a home and horse facilities. There is a wide range of home choices available in the East area. Some will offer an urban feel while others are rural. 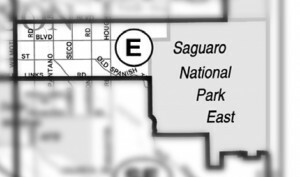 Braewood Terrace Subdivision is near the Saguaro National Park – East. The park offers a unique look into the stately Saguaro Cactus. This vast area has one of the largest populations of cacti that are the recognized image of the west. Families living in Braewood Terrace Subdivision are served by the Tucson Unified School District, or TUSD. Restaurants to visit if you live in the Braewood Terrace Subdivision or another East area location are Mama Louisa’s and Zona 78. Are you thinking of buying a home in the Braewood Terrace Subdivision or another area of Tucson? Finding the right home can be a challenging process. But we can make the process much less stressful for you.